Holland, MI – September 15, 2017 – BluJay Solutions, a leading provider of supply chain software and services powered by the world’s first Global Trade Network (GTN), today announced key company activities taking place at Parcel Forum 2017. As the event’s Global Logistics Technology Partner, BluJay will be showcasing parcel solutions that enable shippers to manage higher volumes, reduce costs and cycle times, enforce compliance, and improve customer service. 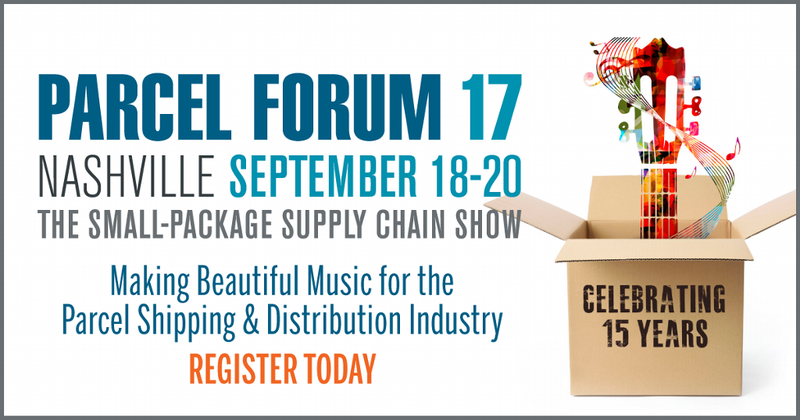 Parcel Forum takes place September 18-20 at the Gaylord Opryland Resort in Nashville, TN. BluJay’s Chief Product Strategist, Doug Surrett will be leading a session entitled, “Everyone is Moving to the Cloud: Should You?” The session will take place on Wednesday, September 20 from 9:00-9:50 a.m. Attendees will learn the key performance indicators when selecting a robust parcel solution for today’s small- and mid-sized shippers, as well as where to find the hidden value in the parcel system, the benefits of cloud-based parcel solutions, and what questions to ask potential vendors. BluJay’s Parcel solution is used by thousands of companies every day to automate mission-critical processes for parcel and LTL shipping, to lower cost and improve speed and reliability. BluJay’s Parcel is an enterprise class, multi-carrier shipping management system that supports complex, high-volume, multiple-location international and domestic shipping. More than 2.6 billion parcels are shipped annually with BluJay’s Parcel. Further extending the benefits provided by BluJay’s Parcel solution is its connection to the Global Trade Network (GTN), which provides numerous benefits that result from interactivity among carriers, shippers, forwarders, suppliers, 3PLs, and customers. A living ecosystem of supply chain partners all connected through one cloud-based technology platform, the GTN model drives a powerful network effect with the benefits of universal connectivity among participants. Visit BluJay Solutions at Booth 504 at ParcelForum, or schedule a meeting with BluJay representatives by contacting BluJayUS@teamlewis.com.